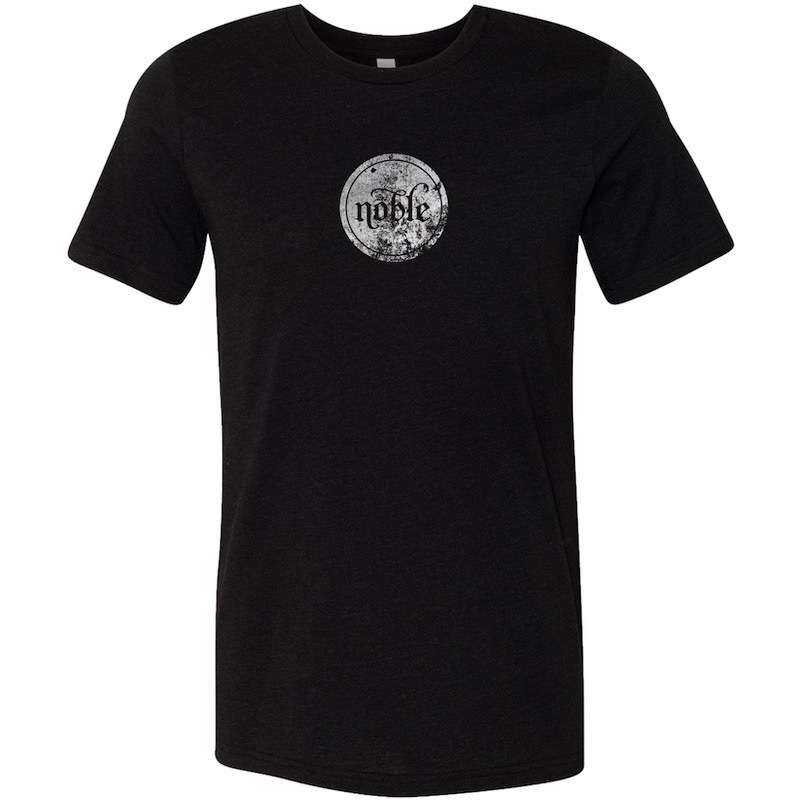 Order T shirts, cases, spare tubes and more at the bottom of this page. 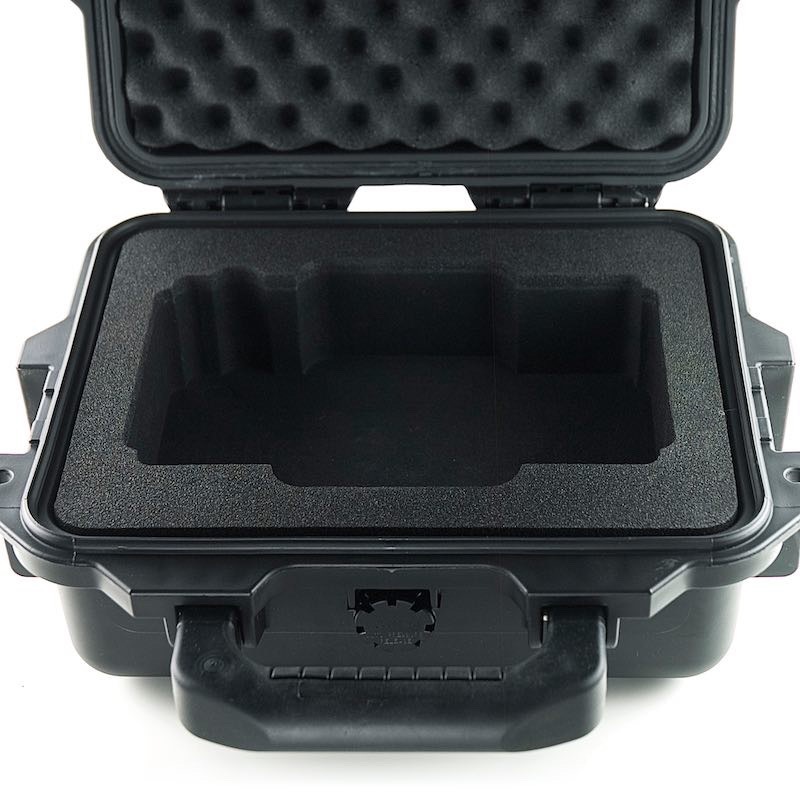 Pelican Storm iM2050 hard case with laser engraved Noble badge and precision milled foam insert (insert can also be purchased separately if you already have a hard case, see below). The Pelican Storm iM2050 is watertight, dustproof and guaranteed for life. Available in black or yellow. Measures 11 1/2" x 9 1/2" x 4 1/2" with the handle folded down. Weighs 3 lbs empty, 6 lbs with preamp (1.4kg empty, 2.7kg with preamp). 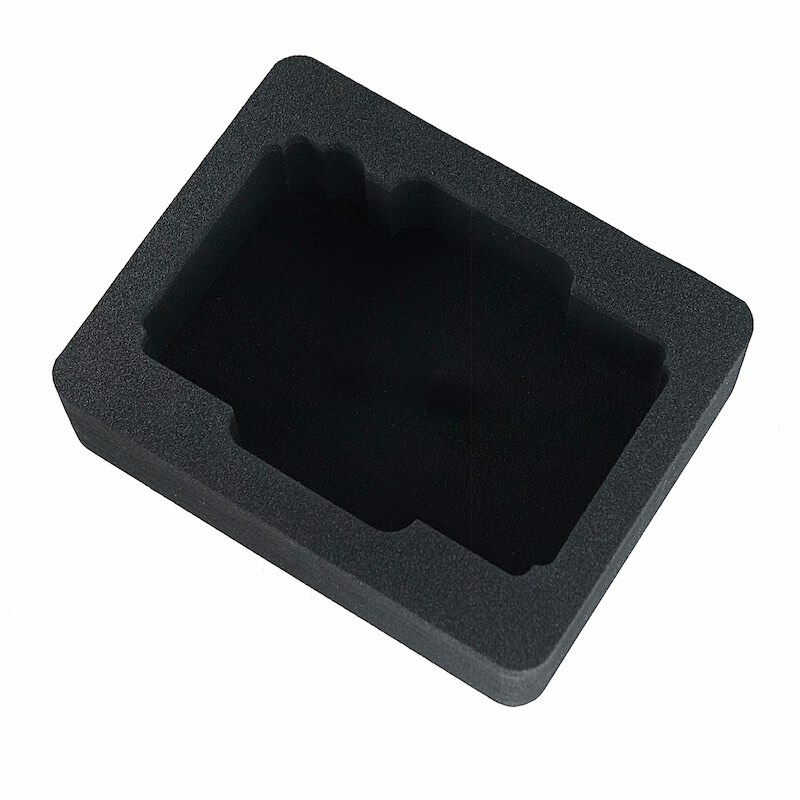 Both the case and foam are designed and manufactured in USA. More durable than the "pick-and-pluck" foam standard in Pelican and similar cases, this precision cut insert presses firmly into the bottom of the case and will not fall out when removing the preamp. 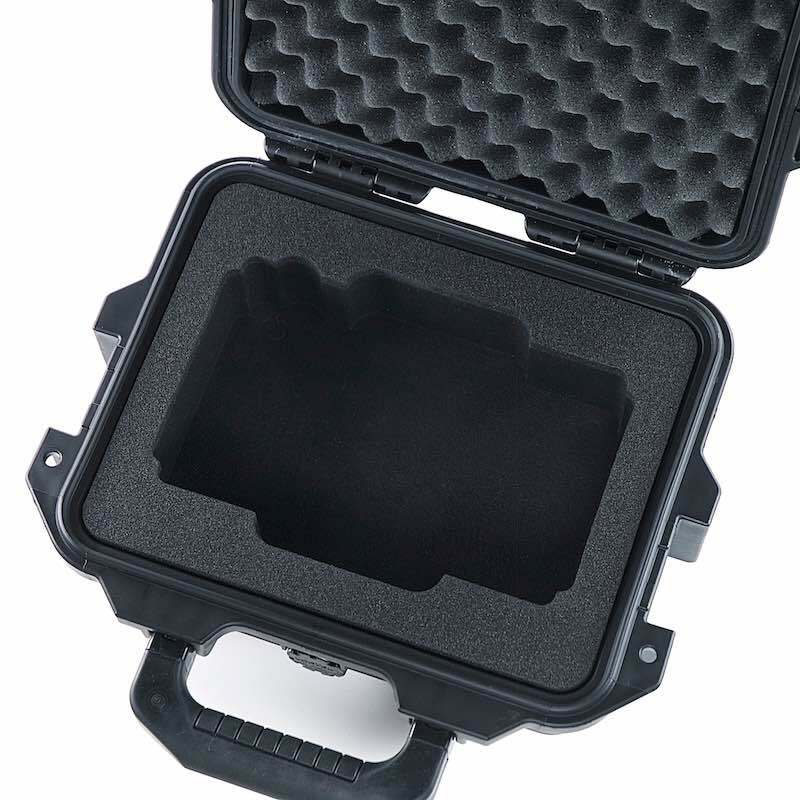 Fits both Pelican Storm iM2050 and Pelican 1200 cases (hard case not included). 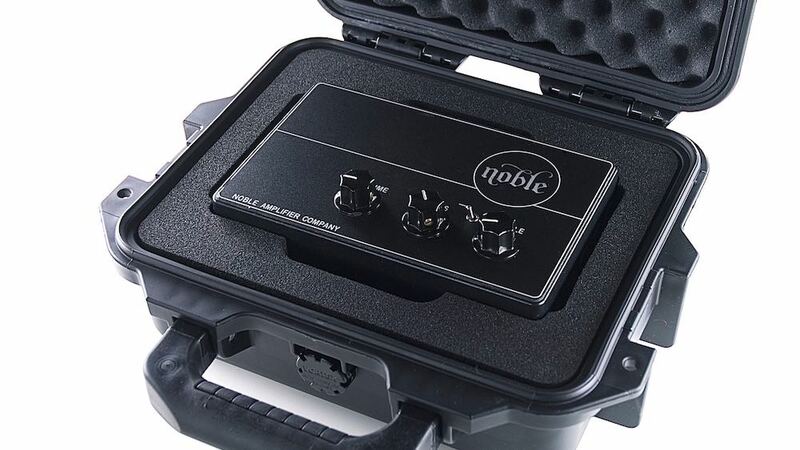 Black is standard but other colors are also possible; email info@nobleamps.com if you're interested in alternate colors. Designed and manufactured in USA. Crafted for superior softness, these Bella+Canvas shirts are produced with 100% sweatshop-free labor and hand screened in the USA by the kind folks over at 52 Threads. This crew neck cut features side seams for a slightly tapered modern unisex fit and a tear-away label behind the neck. 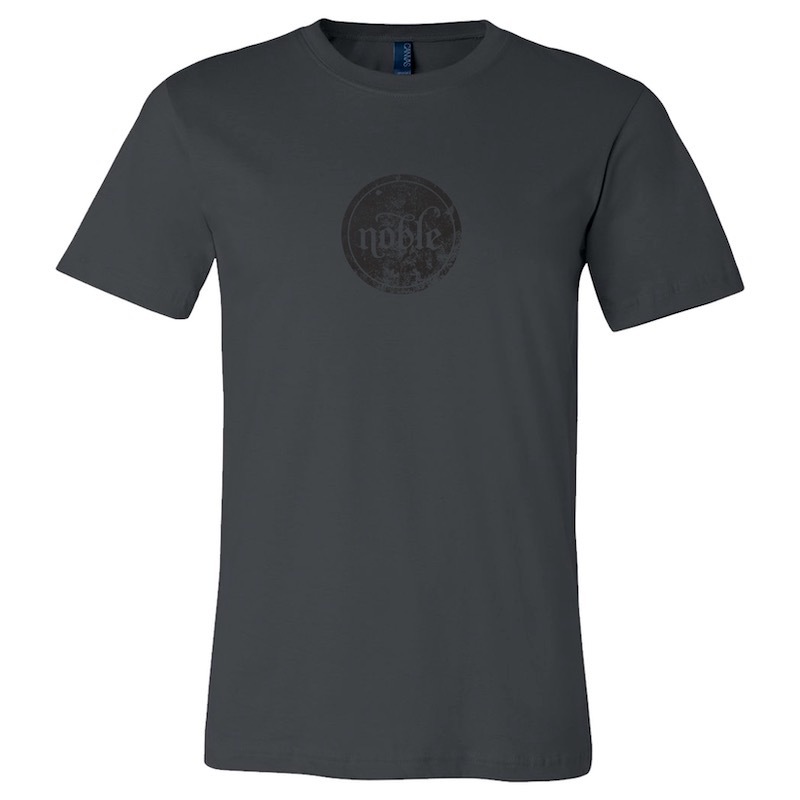 Available in black heather or asphalt grey. Asphalt is 100% cotton, black heather is 52% cotton 48% polyester. 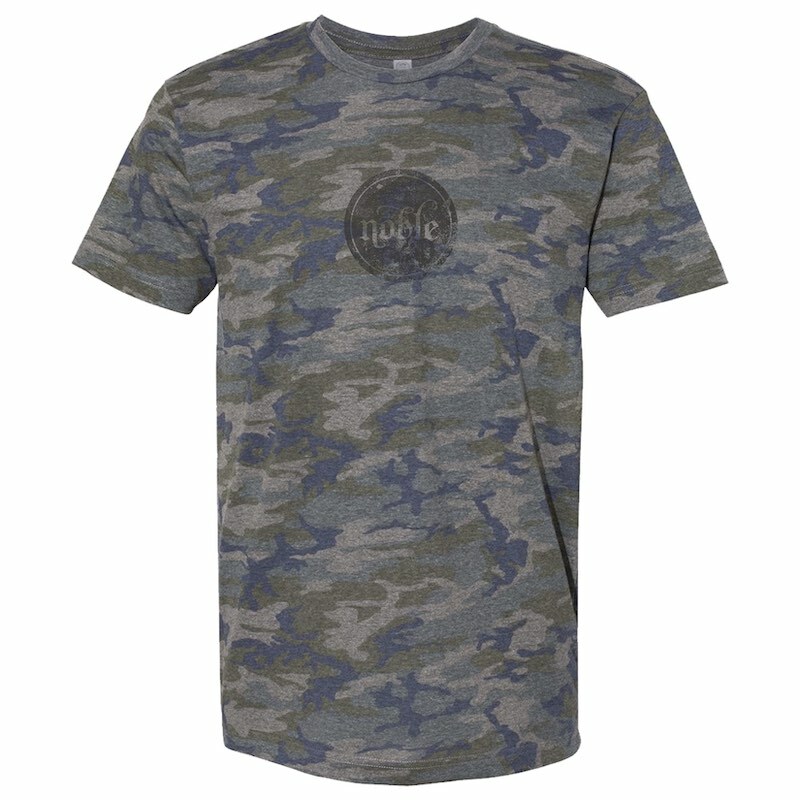 Also hand screened in the USA by 52 Threads, these LAT Apparel vintage camo shirts fit true to size but slightly long; perfect if you have a tall torso like I do or like to tuck in your T shirts (I don't but you might). Traditional crew neck cut features a tear-away label behind the neck. 60% combed ringspun cotton, 40% polyester. Set of two JJ ECC82, individually hand tested for low noise and microphonics. 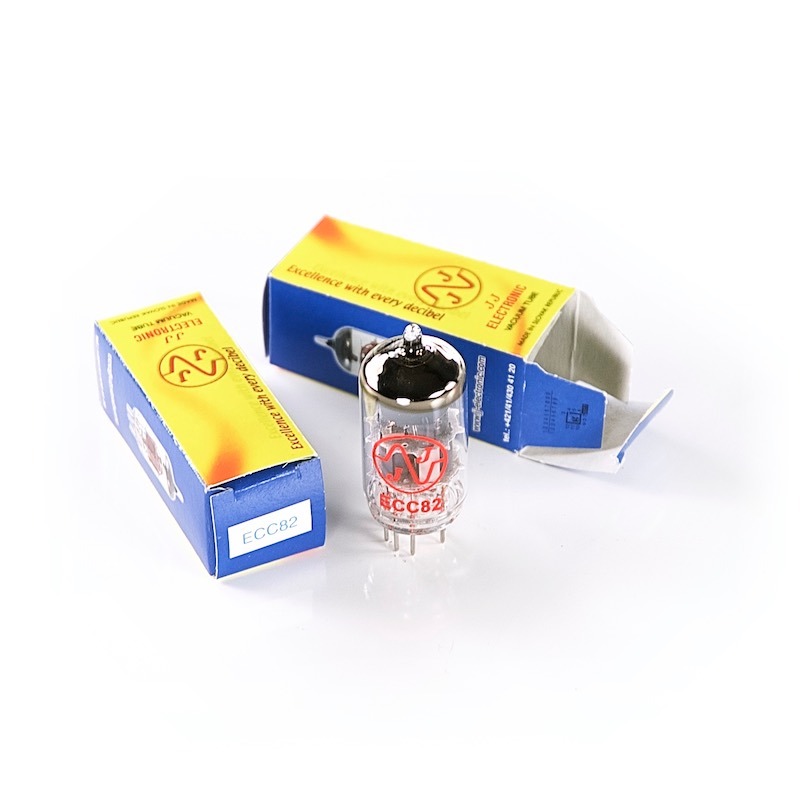 These are the default tubes used in the Noble Preamp DI. JJ tubes are built rugged and survive well on tour. They consistently have the lowest noise floor and microphonic noise of all brands tested. Here's a video showing how to change the tubes when the time comes. 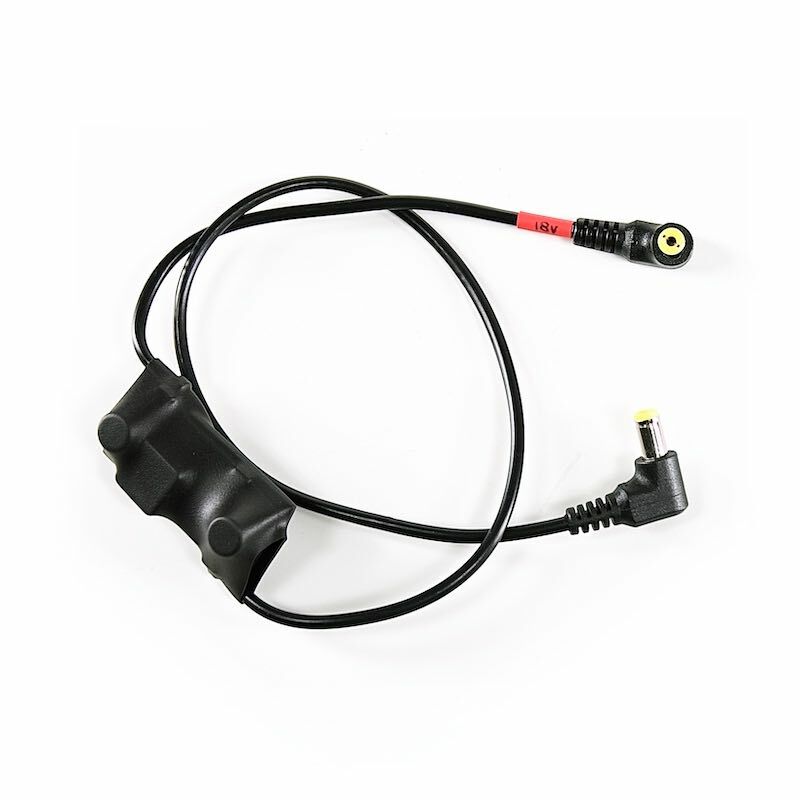 This cable allows 18V effects to be powered from any tip-negative 9V or 12V DC power supply. The end with the red "18V' label will output regulated 18V when the other end is plugged into 9V or 12V DC. The cable has the same ends as a typical DC cable (5.5mm x 2.1mm, both ends tip-negative) but with a small circuit board in the middle where the voltage boosting takes place. The current required is roughly double; for example 100mA at 18V requires roughly 200mA at 9V. Total length is 21.5" (0.55m). United States Canada Europe UK/Australia/Asia Shipping will be calculated based on the address entered during checkout. This website uses PayPal to process payments from credit and debit cards. Paypal charges a 2.5% fee for currency conversion. You may receive a more favorable currency conversion rate with a bank transfer through TransferWise. 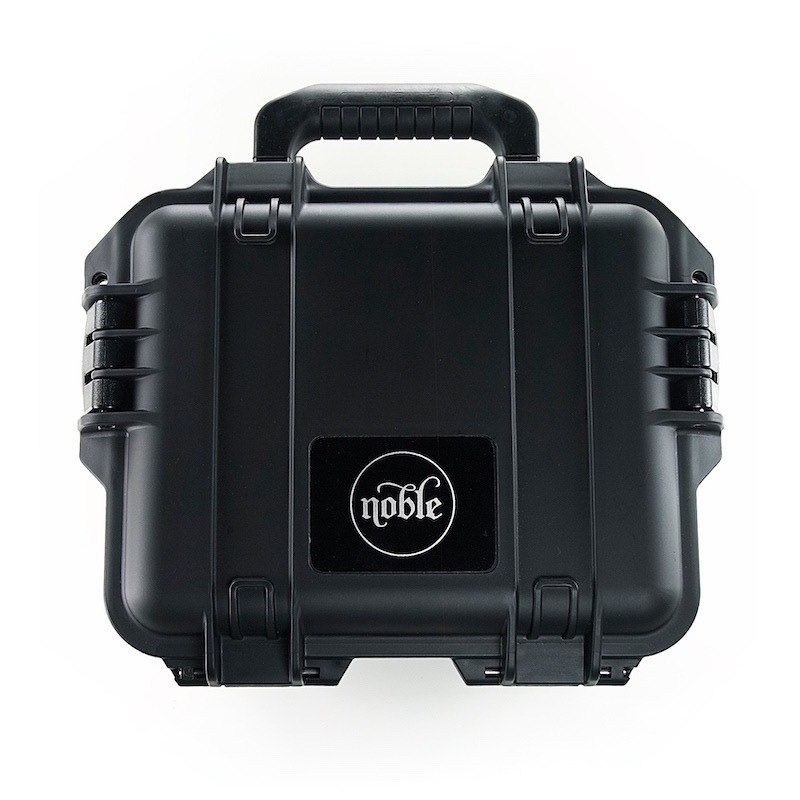 If you are interested in using this service, send an email to info@nobleamps.com before placing your order. All orders are shipped from the United States. International customers may be charged additional customs duties or VAT by your local government before delivery of your shipment. Noble Amplifier Company is not involved with these charges and they are not included in the checkout process.